Join some of your favorite Food Fort mobile vendors and others for a break from the grill Memorial Day weekend. In addition to food, there will be live music, childrens activities, corn hole, indoor seating and access to the gigantic inside kid’s play area at “The Naz” which puts some amusement parks to shame. with a few more to confirm. 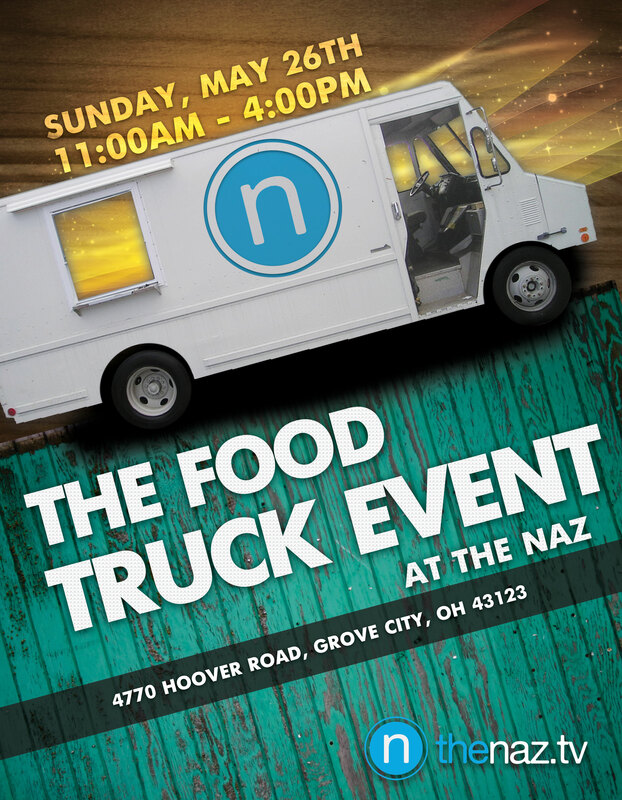 This is the first event food truck event in Grove City. There is plemty of free parking and room to eat inside or outside. Each truck will be making a donation to Refuge for Women, an area charity. Always wanted a food truck!! !